First I want to give the disclaimer that I am not a biologist. 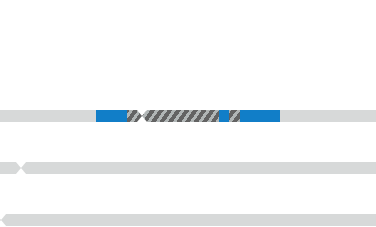 I had my DNA tested and show as a match to a woman on parts of chromosome 1. However, parts of various chromosomes are not tested due to them being SNP poor regions and thus they are not used in calculating how closely related you are to a person. The company's algorithm calculates us as 3rd-5th cousins based on the length of the matched areas (18.13 centimorgans), which I want to reiterate discounts the SNP poor region because their algorithm cannot determine if we match over the SNP poor region. Because of the colocation of the matched region and the SNP poor region, I would like to make the assumption that if the region weren't SNP poor and were to have been tested, we would match. Given this assumption, could I recalculate the degree of relatedness? As in, could I say we are more closely related than 3rd-5th cousins, with some degree of certainty, based on this information?